Welcome to my first post for the Poppins Book Nook! Each month a wonderful group of bloggers will be sharing a new book with you based on our monthly theme. The theme for this month is Where in the World? 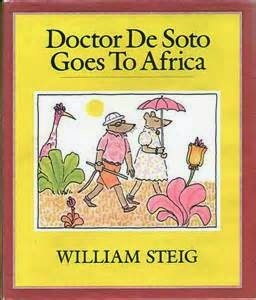 The book we chose is an old favorite at our house: Dr. De Soto Goes to Africa by William Steig. Dr. De Soto is a tiny but talented dentist who runs a successful dental practice with the help of his wife who serves as his nurse. They only treat animals that aren’t dangerous to mice (except on rare occasions – you’ll need to read the first book, Dr. De Soto, as to why). Because of his great skill, Dr. De Soto is summoned to Africa by an elephant who is suffering from a terrible toothache. In Dr. De Soto Goes to Africa, the De Sotos agree to travel across the ocean to aid the elephant and find that their trip to Africa brings more challenges than just repairing an elephant’s aching tooth. Our study transported us to Africa and we enjoyed enhancing our read aloud time by studying African art and African animals. My kids created a watercolor landscape of an African sunset with a mouse and elephant silhouette. We first put masking tape around the edges of our paper to create a border. 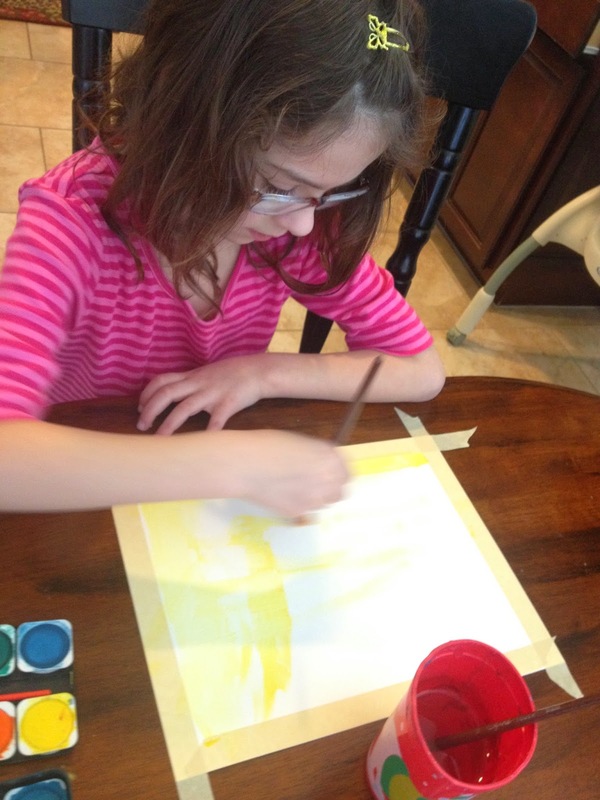 My kids painted their watercolor paper yellow and then layered on the colors of the sunset. We then cut out a mouse and elephant out of black paper and pasted them onto the picture. Once the paper was dry we peeled off the masking tape to reveal a clean border. The kids took permanent pens and made a decorative design around the border and then added some extra color with their watercolors. 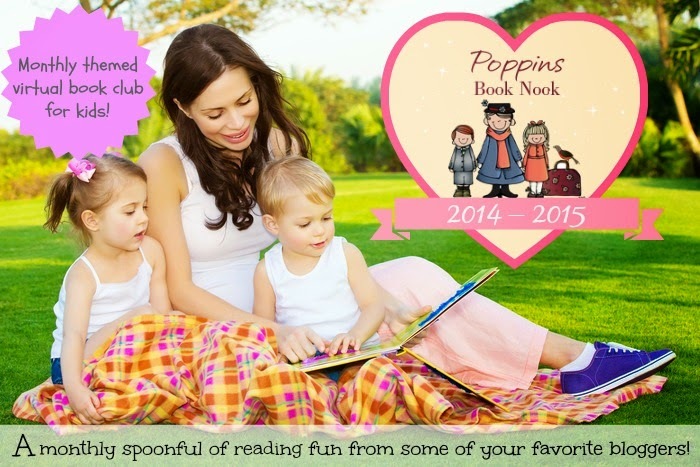 See what the other co-hosts chose for their read aloud this month! 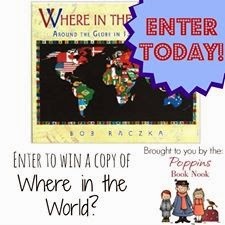 Link your Where in the World? books below! I love the silhouette painting idea! Thank you! It was such a fun and simple idea – my kids could do their projects on their own. That made it very fun for them! What a fun book, and I love how your painting came out! I've never seen this book, but it looks good. And I love the painting project. We are fans of William Steig books here! My kids enjoy Dominic and Abel's Island as well. William Steig Books are seriously amazing aren't they? Africa is a choice, it is a beautiful and diverse place in the world that is fascinating to most kids. And I really love the art work, I would hang that on my fridge with pride. Yes! My kids love Steig books and I love the rich vocabulary in them. There are some tough words in some of the books!!! I was excited with how the art work turned out. It was simple enough for even my younger kids to do and the results were amazing and quite pretty!